Bradford City (H): Sit in the HomeServe Stand For Just £5! 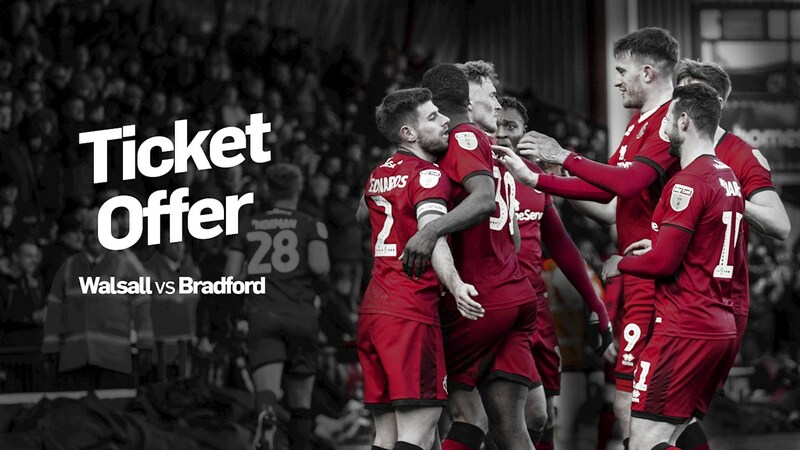 Walsall FC have confirmed the details of a special ticket offer which will allow supporters to sit in the HomeServe Stand for just £5 per person as the Saddlers take on Bradford City on Saturday, 23rd February. Your support was fantastic when the club ran a similar offer against Northampton Town in our final home game of last season, with George Dobson’s last-minute winner all but preserving our League One status. With the Saddlers heading into a crucial run of fixtures, the team needs your support more than ever. So make sure you get your tickets, let's pack the stadium and back the boys! Purchase your tickets now by calling 01922 651 416 or by visiting our eticketing website.